Peoples always talk about how to get success as a blogger but, forget about to know what are the possible reasons have stopped from success. You have landed to this post that means your blog has not done well. Do you know 90% of new blogs failed in first some months? For some reasons like lack of interest, poor content, haven't chosen a niche and want overnight success. I have maintained below some possible reasons why most of the blog get failed. Find out, which thing you are doing wrong on your blog. When I was first started my blog I also did make lots of mistake and learned from. 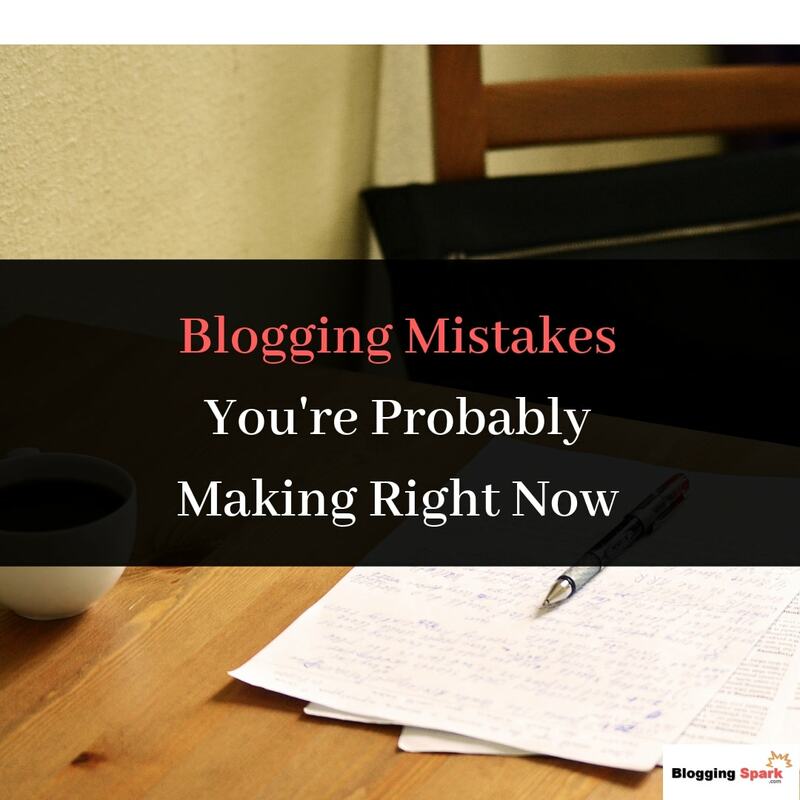 12 Blogging Mistakes You're Probably Making Right Now on Your Blog. Pinterest is one of the most important traffic sources after google. It's also used as a search engine. Most of the peoples use Pinterest as a search engine for their quarries. If you just started a blog then you have less chance to get traffic from Google because its take lots of time to get constant visitors from Google. So you can target Pinterest to drive traffic to your blog, most bloggers have done this and focusing on it more than Google. If you are not using Pinterest then probably making a big mistake that has stopped you from getting success in blogging. I recommend you to create a Pinterest account and pin blog posts. That helps you in to get traffic from this platform. Here, is the 3 Pinterest marketing tools that help you to grow your visitors and followers. If you want to look at my Pinterest account to know how I’m using it to drive traffic at my blog then click here. If you have not promoted your content to the various platforms yet then probably have missing thousand of traffic. I spend my 20% of the time on writing a blog post and 80% on the promotion. Power of promotion is way powerful than you think. You cannot seat back after publishing a blog post and wait for google drive traffic to it. Share that post in various places such as Facebook page/groups, twitter, comments, emails, Pinterest and many more. That would help your blog to traffic from various sources. And in the internet industry don't be relying only on the one traffic source. Probably, your blog has not as successful as other blogs because you haven't chosen a niche. And writing on various topics. For example, you are covering different topics like lifestyle, fashion, motivation, tech and etc in the same blog. If you really want the better ranking in Google then you must have to choose your blog niche. In the study's found that Google love niche sites than sites that cover random things. If you look at to my blog then you will see that I cover only blogging related stuff like SEO, social media marketing, email marketing, Affiliate Marketing and many more. One of the biggest reason why your blog has to successful that you haven't collected emails of blog visitors. Having a big email list is an asset for a blogger. You can monetize your email list with products and services that help you in to make money. Email marketing also helps in to stick visitors at your blog. Whenever you publish a blog post you can send a message to your subscribers to let them know about your new post. That drive instant traffic to the blog. You should have to be an email list to do well in nowadays. If you don't know how to collect emails than I have already written a post on this topic. You can use tools like MailChimp and Helobar (they are free) to collect emails of your blog visitors. Do you know backlink is the most important ranking factor in Google? Because it tells Google that the site has the authority or not. Backlinks help in to build site authority and a high Authority site rank better in Google search then less one. When I was started my blog I haven't got the better ranked because of fewer backlinks pointed to my blog. Then I started guest posting it's one of the best ways to build high Authority links from good day sites. This type of backlinks loved by Google that would increase your blog ranking too. If you don't know what is guest posting? It's a process you write content for other blogs and get one or more link do follow links depends on the site owners. It also helps in to take your blog to the new audience. You can also try various link building strategies such as Guest posting, Infographic, profile creation, article submission and social bookmarking etc. (Search engine optimization) SEO matters lot that helps Google to know what is your blog is all about. If you haven't optimized your blog properly. Then, it might be hard to get better ranking in google. Most of the peoples failed at blogging because they don't know how to optimise the blog for SEO. Here are some tips you can follow that help you in to optimise your blog. 1: you should have to include your main targeted keywords in your blog post title and description that tells Google what is your post is about. 2: use proper H1, H2 and H3 tags inside the blog post. 3: Add more LSI keywords within your blog posts to your blog post will have a chance to get rank for various keywords. 4: Internal linking of your new and old blog posts.Top 10 reasons why analytics more success in blogging. 7: You are looking Analytics More Often. If you are seeing you blog analytics more often than it would only hurt you. Because it takes lots of time to get success in blogging. First, give your blog 3 to 6 months and work hard on it and also publish some more useful contents. These days domain authority unique contents and backlinks matter more to get organic traffic so first build them then over the time you will see your ranking get clime. You cannot get overnight success in blogging you will have to work hard for it. Blog design and loading speed are also important rankings factor. If your blog design has not responsive and load pages slowly then it would not get a good rank. Google already maintain that they rank responsive sites over none responsive. If your site is loading slowly no one going to use and left immediately that increase your bounce rate too. You should have to choose a responsive and first loading blog design that works on all types of devices such as mobile, tab and desktop etc. If you want to check your blog loading speed then you can use a free tool like Google Page Insights (its free) provided by Google. Some peoples want to get success in blogging and make money from it with just 5 to 10 blog posts. If you are thinking more about money than posting more valuable posts then you will get failed at blogging. First, you need to give more values that means you should have to focus on post more contents at least 1 or 2 blog posts a week. In this way, you will have enough posts within 4 to 5 months. One you have more than 50 blog posts then you can start making money from your blog. I personally followed this method for my own blog and this strategy helped me to create at least 10 blog posts every month. If your blog posts are poor then they would not appear in the top searches on google. Because google like unique and quality contents. If a blog post has written in detailed and covers more topics in one post then it might have a chance to get better rank. Most of the blogger failed in blogging due to poor contents have on their blog. You should have to focus on writing a post between 1000 to 1500 words. These types of post work better than 600 words article because a detailed content covers more topics and get rank for various keywords. Over the time you might be not focusing on your blog and not taking interest in blogging. If you really want to become a successful blogger then you must have to take an interest that helps you to work on your blog. And keep the focus on the blog to get achieve them. Invest your time in your blog than wasting on things like watching TV, Playing games, and movies etc. If you afraid of monetizing your blog or thinking you don't have enough traffic to monetize your blog. Then you are completely wrong. If you have targeted traffic then 7 or 8 leads can help you in to earn handsome income from your blog. So don't think about traffic just monetize the blog. Peoples did the mistake they think when having lots of visitors then will monetize a blog. I know you can not earn money from Adsense with less traffic. But, you can use affiliate links and sell your own products that help you to earn money with less amount of traffic. I have maintained all possible reasons why your blog has not succeeded. If you make these things correct over the time your traffic and ranking will climb. Blogging is long term thing so give time to it. If you have any question and suggestion then let me know in the comment. I would love to reply. 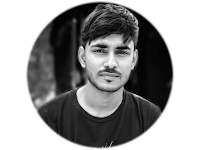 I’m the founder of BloggingSpark, where I share tutorials on Blogging, SEO, Affiliate Marketing, Social Media Marketing, Make Money Online and etc. if you have any question and suggestion then contact me on this email.